Beckers Perfekt Fönsterfärg (window paint) is a semi-gloss paint specially adapted for painting wood windows. 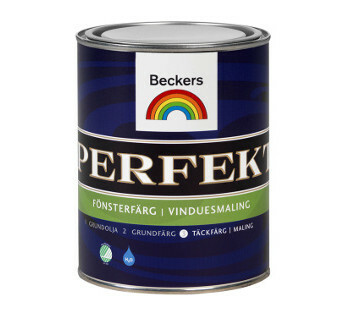 Beckers Perfekt Fönsterfärg 1L is a semi-gloss paint specially adapted for painting wood windows and other exterior joinery. Although primarily designed for painting exterior wood window frames, it is also suitable for all kinds of external joinery such as doors, window shutters and gates. 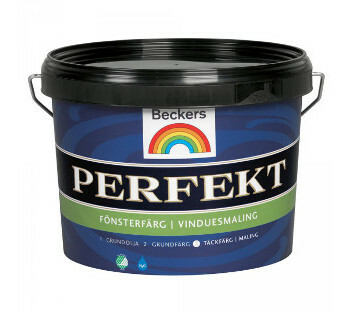 Beckers Perfekt Fönsterfärg is easy-to-clean, durable, waterproof and is semi-gloss.